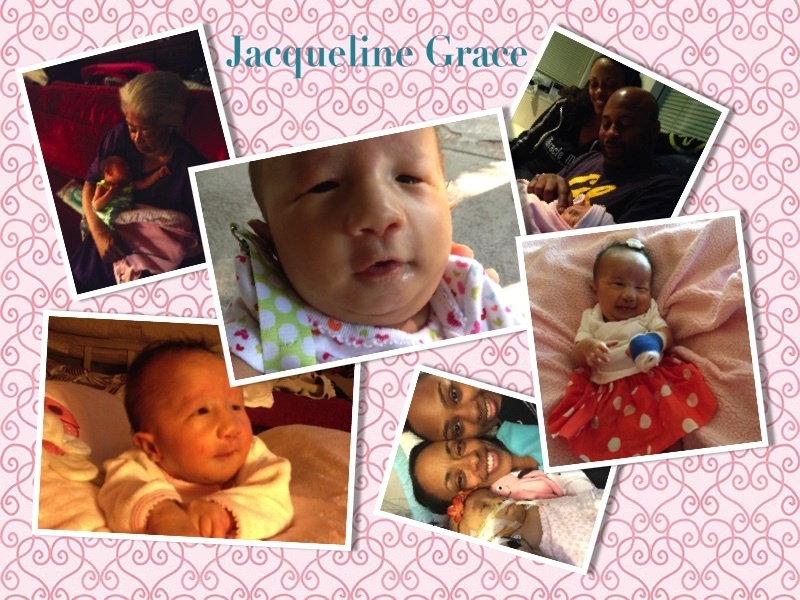 Jacqueline Grace is my daughter who was born with full Trisomy 13 on June 9, 2014. This project is to create and provide hospital NICU's with bags filled with support items and resources so that families new to this journey will know that they are not alone. We are officially a non profit, 501(c)3 organization! Please feel free to stop in anytime and learn about Trisomy, find out ways that you can help support families through this project, or just spend some time reading and soaking up some of Jacqueline's love...because it is always spreading around. WELCOME to Jacqueline's Grace corner! A cozy little area where I will share about Jacqueline, our project, and spread education about Trisomy. My Lord made Jacqueline just as she was meant to be, and she remains amazing! A well known scripture Psalm 139: 14 says " I praise you, for I am fearfully and wonderfully made . Wonderful are your works; my soul knows it very well." Sure the world has an ideal of what is pleasing and acceptable but I prefer to listen to my Father and His scripture says in 1 Samuel 16: 7 "But the Lord said to Samuel, "Do not consider his appearance or his height, for I have rejected him. The Lord does not look at the things people look at. People look at the outward appearance, but the Lord looks at the heart." All special needs families are taught to look at the heart and the exquisite joy in every accomplishment. There is not much we take for granted as we are constantly reminded that each day is a gift! I have been approached by many women who have gone through this journey in silence and I want to be a voice for us all. Our children matter and they lived( however long or short). I pray that if this is you, you find comfort in my words and you find a place to lay your burden down in the river of my open tears. God's gift of healing that is found in Jacqueline's Grace project is for everyone. 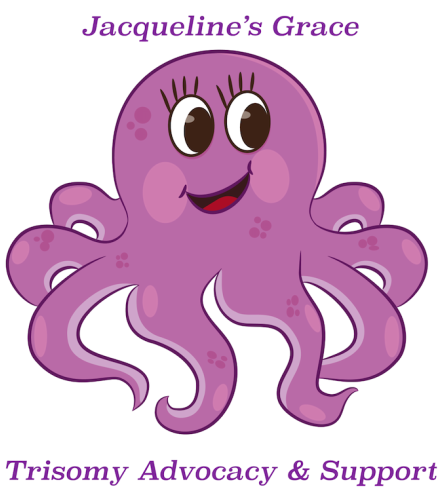 Jacqueline's Grace is a project designed to create and distribute tote bags filled with support items, materials, and resources for families receiving a Trisomy diagnosis in the hospital. The tote bags will be delivered to Hospitals with level 4 NICU units ( this is the highest level NICU for babies who are quite ill). The object of this project is to provide support and some comfort to families who are going through a very rough time. Through this page you will be able to learn more about what Trisomy is and is not as well as ways you can help us carry on this project in memory of my sweet warrior Jacqueline Grace. In the near future I plan to complete the process of becoming a full 501(c)3 non profit organization. PRAISE UPDATE!!!! As of December 8th, 2015, Jacqueline's Grace Project Association has been granted 501(c)3 status! Our work can really blossom! In addition to the most immediate need to support parents and families new to the Trisomy journey, my desire is to impact the education of medical professionals . I will work to create a continuing education capsule that can be presented to medical professionals to meet them where they are and elevate them from there. In grad school I was taught " Stateways don't change folkways." This simply means that new laws will not change the old ways of doing things. The Trisomy community is working hard to discontinue the use of the term "incompatible with life" being directly and indirectly associated with a Trisomy diagnosis. Taken a step further, I feel that there should be work done on the ground with medical professionals to provide them with a new "folkway". 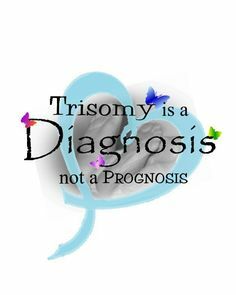 Contrary to the age old perception of many medical professionals, a diagnosis of Trisomy is not a prognosis of death. Nor is it definitive determinant a constant vegetative state with no/little quality of life. The first suggestion made to many families receiving a prenatal diagnosis of Trisomy is to terminate due to this outdated medical information. Current research and testimonials show that MANY children receiving a Trisomy diagnosis continue to live and thrive. they attend school, love their friends and family, and make great strides. Proper updated education for medical professionals and the provision of needed medical services is key. My personal bottom line: only God can decide who is compatible with life. This battle is HUGE for the Trisomy community. However, there are "Trisomy friendly" doctors out there and they are out lifeline to services. Jacqueline Grace is my daughter, my greatest teacher, and the fiercest part of me that lives on. Learn more about her and why this little warrior is so important in her own voice here!!! 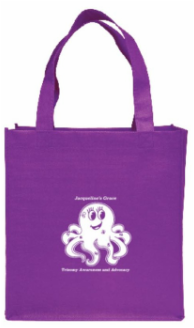 Jacqueline's Grace tote bags for Families receiving a trisomy diagnosis seek to provide families with items to help them bond with their babies, let the parents/caregivers know that they are important and cared for as well, and provide community resources to connect with ASAP. Learn more about what will go in these bags and how you can help here! Simply put, Trisomy is the presence of a third copy of a chromosome in a cell. Trisomy awareness and education is important for ALL women of childbearing age and those that love them. Conceiving and carrying a child with Trisomy is usually a random event and you did nothing wrong. Children with Trisomy are compatible with life and many have the possibility to thrive. Learn more here about what a Trisomy diagnosis means, as it is NOT a prognosis!